A wall of flower petals. I have an elderly apple tree which continually grows into the power lines and every year city crews come by to whack it back. The apples are sour, and numerous (overly numerous most years). 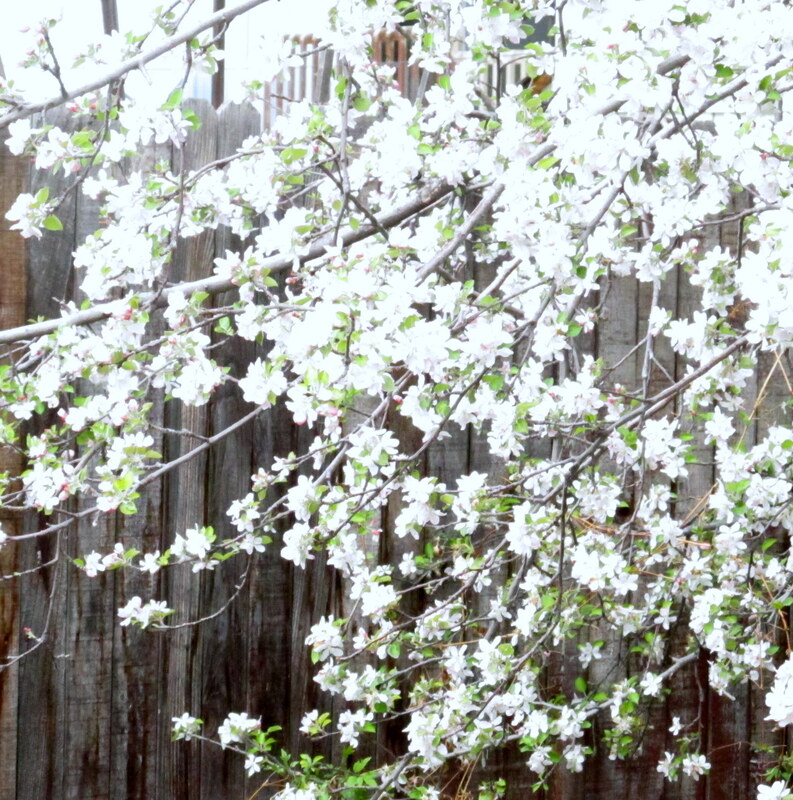 This is the best year for blossoms I can remember- the tree is a shower and curtain of blooms. And, they are predicting a snow tonight, and a low of 28 degrees. Sigh. I guess we won’t have to worry about numerous apples this year. "Ooh-leee-oool" I think that's how you say it, anyway. The French don't spell things like they say them. Also in bloom- species tulips, white,purple and yellow hybrid tulips ones whose variety I can’t remember. There is one blooming “oullioules” tulip, out of 50 I planted several years ago. 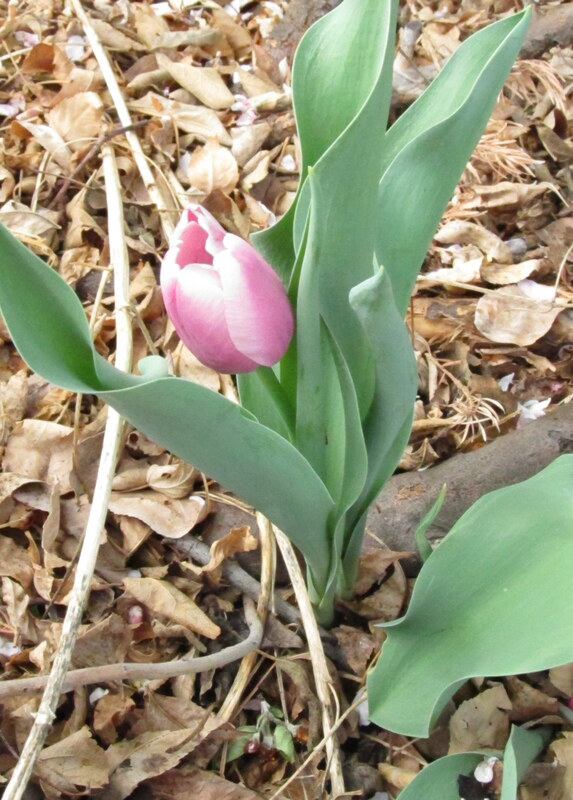 It is my absolute favorite pink tulip- it is kind of on the orchid-colored range of pink, with white stripes. It makes me realize I should buy a bunch more. I also have siberian squill and grape hyacinth, which are both naturalizing nicely. 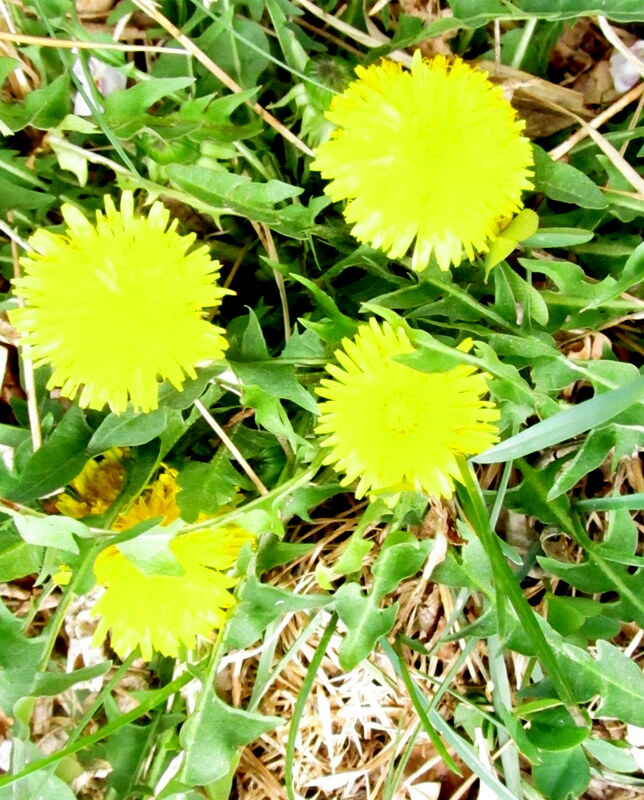 Golden currant, lilac and mock orange shrubs are blossoming as well, and a goumi shrub. Goumi is related to russian olive and is a nitrogen fixer. It is supposed to have delicious fruit, but this one has never produced any, to my knowledge. It is windy enough that the flowers on shrubs are coming out ridiculously blurry. It is the storm coming in. Previous Spring Cleaning- the Hillbilly Goldfish Pond Next Shows how much you know, it’s only mostly dead!